Kerrie-Ann Jones is a photographic interior stylist who crafts unique visual imagery for editorial features, brand campaigns and social media content. 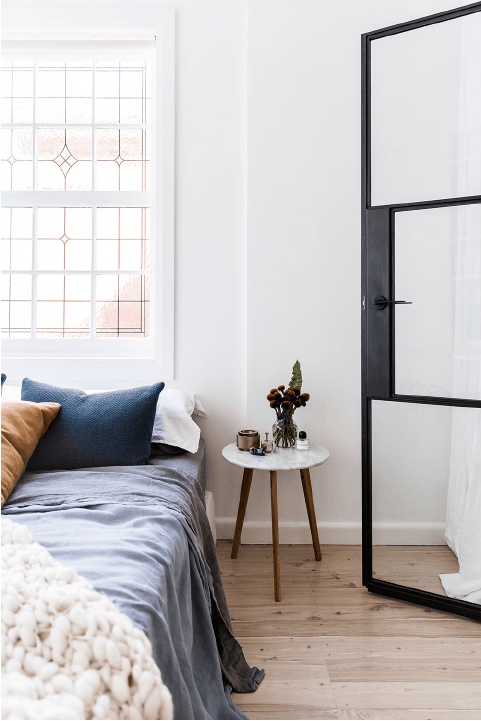 As the former style editor Real Living magazine, K-A’s impeccable interior style and eye for trends have been significant influences on how Australians decorate their homes. As one of Australia’s leading interior style experts, Kerrie-Ann is a regular contributor to global interior & fashion publications and host’s interior styling workshops. Various lifestyle brands have also engaged K-A as social media influencer. She enjoys collaborating with brands and creative teams to execute beautiful and engaging visual content and sharing this, along with her knowledge of interiors, to her social media following and the media. Interior styling is my passion. I enjoy using my creative skill set to curate unique interiors that resonate with Australians and providing inspiration + ideas for styling their own homes. As a stylist, K-A uses her artistic approach to highlight fashion and interior trends through her creative concepts, and brings these to life by producing imaginative visual narratives with her set design, interior styling and attention to detail. Her aesthetic is modern and feminine balanced with an Australian lifestyle appeal. Until recently, Kerrie-Ann held the position of style editor at Real Living magazine from 2017-2019. During her time at the magazine, K-A produced and styled cover shoots and various interior features, that contributed to a 30% spike in readership after her first year. Throughout her career, K-A’s repertoire includes working with various leading interiors magazines both locally and globally, plus having the honour of styling and creative directing for several Australian leading lifestyle brands. Together with photographer maree homer, the duo have launched the creative contentand photo agency, the style bureau, producing interior features for leading publications in australia and internationally. K-A styles the imagery and write passsionately about the people’s homes they feature. If you have a magazine-worthy home, be sure to get in touch.